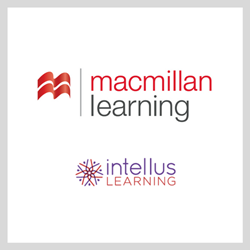 "Each Intellus Open Course contains content from open eBooks, under CC-BY licenses, and instructor resources like PowerPoint slides and test bank questions, as well as other open assets including YouTube videos, optional institutional library content, primary source documents, and more. Our subject matter experts use the power of the Intellus Learning platform to locate the best open content available from the leading OER content providers and package them into a turnkey courses for use by instructors," stated Renee Altier, Vice President of Institutional Strategy. Sixteen Intellus Open Courses will be launching this spring in general education courses, such as American government, sociology, economics, pre-algebra, psychology, and chemistry, with the first courses going live for review and testing at the beginning of February 2018. Intellus Open Courses will cost $14.99 per student per course, and recognizing the spirit of open education, students will be able to access and retain all OER material included in Intellus Open Courses. Macmillan Learning improves lives through learning. Our legacy of excellence in education informs our approach to developing world-class content with pioneering, interactive tools. Through deep partnership with the world’s best researchers, educators, administrators, and developers, we facilitate teaching and learning opportunities that spark student engagement and improve outcomes. We provide educators with tailored solutions designed to inspire curiosity and measure progress. Our commitment to teaching and discovery upholds our mission to improve lives through learning. Macmillan Learning includes both academic and institutional divisions. To learn more, please visit http://www.macmillanlearning.com or see us on Facebook, Twitter, LinkedIN or join our Macmillan Community.